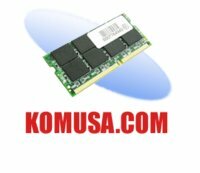 Kingston - KTA-MP1333DR/8G KTA-MP1333DR 8G Kingston - 8GB 1333MHz PC3-10600 CL9 ECC Registered DDR3 SDRAM DIMM Kingston Memory Module For Apple MAC PRO W Thermal Sensor. New Retail Factory Sealed With Full Manufacturer Warranty. Micron Technology - CT2K8G3S160BM CT2K8G3S160BM Micron16GB 1X16GB 1600mhz Pc3-12800 Non-Ecc Unbuffered DDR3 SDRAM 204-PIN SODIMM Memory For Apple Macbook Pro. New Retail Factory Sealed With Full Manufacturer Warranty. Crucial Technology - CT2K8G3S160BM CT2K8G3S160BM Crucial 16GB 1X16GB 1600mhz Pc3-12800 Non-Ecc Unbuffered DDR3 SDRAM 204-PIN SODIMM Memory For Apple Macbook Pro. New Retail Factory Sealed With Full Manufacturer Warranty.